Myth #1: They crave constant collaboration. 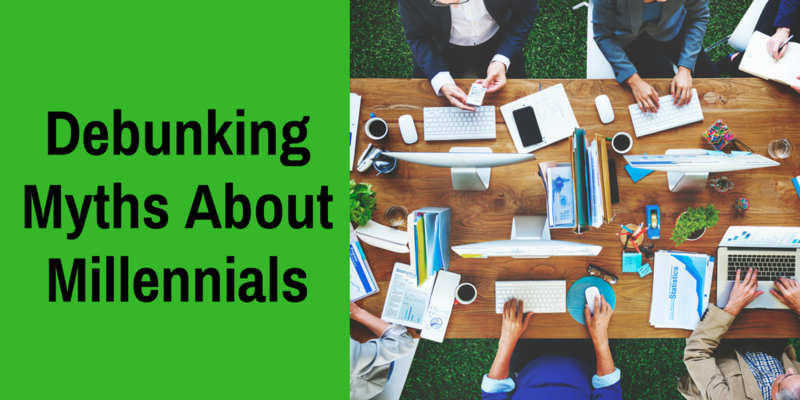 Many employers believe that Millennials are all about embracing teamwork, and that’s largely true. But putting them in an open cubicle farm may not be the key to tapping their productivity. Although almost half of Millennials work in cubicles or open-plan offices, 78 percent say they would be more productive at work if they had more private space for individual work and reflection. It’s not that they don’t appreciate the value of collaboration; it’s just that they also want an environment that allows them to dig deep, concentrate, and get things done on their own. Myth #2: They prefer virtual communication. Because Millennials were raised on technology, many employers assume they’ll naturally gravitate to virtual communication channels at work. But when asked how they like to innovate and solve problems, the top three collaboration methods among Millennials are all face-to-face: scheduled meetings, spontaneous interactions, and conferences or working sessions. In fact, Millennials are significantly less likely than Baby Boomers to cite virtual meetings among their preferred modes of collaboration. Myth #3: They’re always wired in. Yes, Millennials might spend a lot of time on their phones, but does that mean they’re constantly checking their work email outside the office? While they are more likely than Boomers or Gen Xers to say they prefer collaboration through email, they’re also less likely to handle work messages outside normal business hours. Only 44 percent of Millennials check their work emails regularly during downtime, compared with 55 percent of Gen Xers and almost 60 percent of Boomers. Myth #4: Their jobs are plenty flexible. Many employers try to attract young talent with flexible workplace practices, but they may not be doing enough. Only 59 percent Millennials say their jobs give them the flexibility they need, compared to 71 percent of Gen Xers and 74 percent of Boomers. They’re also more likely than older generations to say they want additional flexibility, with three-fourths saying they want to work from home or customize their working hours. In fact, flexibility is a big draw for all three generations, who all told APQC it is a big factor in their decisions to accept, stay in, or leave a job. What are the take-aways for employers who want to attract and retain younger talent? Think carefully about workspace design, and build flexibility into the jobs you offer. Giving people more control over their work experience may boost both productivity and loyalty. Want to learn more? APQC Members can read the full Generational Differences in Work Experiences and Preferences report in APQC’s Knowledge Base.